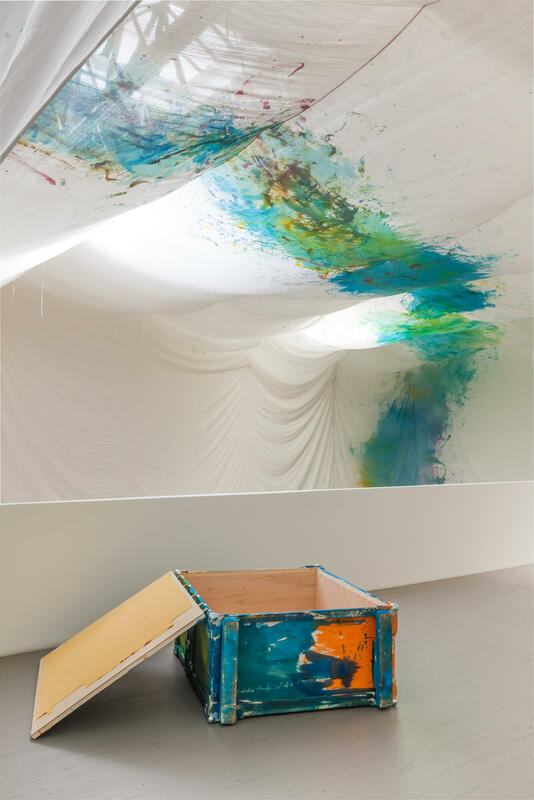 A Swiss artist who calls Berlin home, Pulfer has created a rather airy installation, tenting the sky-lighted gallery with raw muslin. A narrow band of lyrical painterly flourishes arcs across the walls and ceiling of this interior within an interior. It really ties the room together, man.